– who has the ability to put pre-chosen things together. – who has the ability to decide which things to put together. – who has the ability to put new things together. Many investment books written for non-experts read mostly like autobiographical accounts of the methods developers or experts have put together. When a non-expert reads such an account, he will typically not understand the underlying engineering of the method, and the outcome will be bad. However, while it is easy to head into a bookstore to find the best selling accounts, knowing which books to read to get a technical foundation is impossible as such a foundation is typically acquired within the confines of the ivory towers. Below I list most of the books I used to learn about the world of money after having been [painfully] ignorant about it for the first 25 years of my life. Starting out, I would first read the economics books (do at least some of the exercises as well). Then I would move onto the investment books to get an overview of the process. The next step would be accounting to be able to understand the nitty-gritty connections between the abstract concepts of the stockmarket and the real world of company reporting. As a bonus, I would read about corporate finance. If you read and fully understand these books, I dare say, you will have the equivalent knowledge of an undergraduate degree in business, and so you will be able to better evaluate books from investment gurus. BONUS: Since these books take up a lot of space (they are all 800-1200 page textbooks) and since they are available from the library, I have decided to give mine away. I’ll be giving away any book marked with an (X). If you want them, you’d have to come and pick them up, which probably means that you have to live somewhere in the California bay area. Alternatively, it may be possible to work something out, where you send me a check for the shipping (it would be about $10) and I’ll send you a big box. Update: All the books have been spoken for. 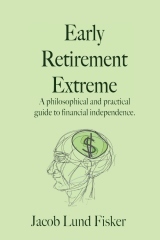 previous post: How much do I need to save for extreme early retirement? 29 users responded in " A startup curriculum for finance, economics, and investing "
The problem is that many of us who are still in the workfarce won’t have the time to study so many pages anytime soon. Now, what REALLY matters in a book can usually fit on ten pages or less, sometimes on a single page. I agree that a serious financial education can’t be provided by summaries that omit a lot of important details. But nevertheless… for many of us it’s the only way (until we retire). Jan, I disagree. I work full time and read daily finishing a book every week. If I am reading a text book I just read a couple chapters a week. It doesn’t take long until you are onto the next. I do this and have a 1 year old at home, a full time job and a huge garden to tend to. Just cut out TV, movies and other such things. That’s very generous for you to offer to give the books away. I don’t actually want the books since I’m trying to reduce clutter, but I wanted to let you know that you can mail the books within the US using media mail. This doesn’t cost very much. You could probably send each book out for about $4 or maybe even less! And when I mail out books (via paperbackswap or Amazon), I just wrap them with brown grocery bag paper. Thanks for this post, Jacob. In what order would you advise reading these books? Will “Financial Reporting and Statement Analysis” make sense if you haven’t read “Economics”? @Jsn – In the long run, an hour a day can go a long way. @Sarah – 3, 2, 7, 4, 1, 6, 5. I think they will all make sense on their own, but some progressions are certainly easier than others. I would also recommend the intelligent investor by benjamin graham. I found one book that explains ecomonics very easily and in simple lessons an it is under 200 pages. Its called “Economics In One Lesson” and its free. @Ademac – Yes, everyone [who votes] should read this. It is probably the best layman book on economics, there is. Man, Economy, and State by Rothbart is also great. Cool, if i lived near you i would certainly snap them up… i live in australia and wonder if theses books would still make sense to me or if i should read australian books? i never know because things are different over here concerning some things. what do you think? @alyssa – They are quite general. Some of the accounting will be slightly different, but the principles are the same. I would love to pick up some of your books specially the ones on Financial Statements. Perhaps when we do the BBQ. I would take you up on your offer for any of the books that have not yet been spoken for. The details can be worked out via email, but I’ll have to pay for shipping. Thanks. I found the book Economics: Private and Public Choice at my library; However, the publishing date was 1980. Is there a newer edition? Or is this the edition you are recommending? @shawn – That’s just the version I had. I would actually recommend the other Economics book. Ok I have a stupid question. If one should read these books to be successful in investing why then are most undergrads with degrees in business not successful investors? What are they missing? HOw do I get that sire? @Chris – I’ll tell you why they are not successful investors. Most tend to read and regurgitate for the exam and do not really think about what they are reading and how it applies to the world. Nothing upsets 90% of the students more than an exam question that requires enough thought to apply what they are learning to a real worldish problem. I would also say that successful investing takes work just like success in any endeavor. Maybe a little bit-off topic. Is there any game in the universe that is not Zero-Sum when you factor in the use of natural resources ? Economists seems to focus on just financial matters but ignore the environmental cost. Is economic growth just a matter converting natural resources into GDP ? Jacob already wrote about some of the double counting that occurs in the GDP (“door knobs”). But when you get down to it, isn’t all economic activity based on converting sunlight (present or past) energy into something we can used/consume ? I am trying to understand what Solow means when he says all economic growth is driven by technological change. Is technological progress just a more efficient way to utilize natural resources ? Are we just living more effeciently ? “living” meaning how we consume natural resources over the course of a lifetime. These books could also be used by someone working towards their CFA 1st level exams and probably even 2nd level. Jacob, do you think it is a coincidence that you got a return of around 78% on your portfolio since 03/06/09 while the S&P500 itself returned 79%? or do you think it is all reversion to the mean? This was an old post that got recycled, so the 78% is an old number. I deleted the paragraph. My return between 3/6/9 and 6/16/11 is 141%. May we know what your portfolio looks like? @Raghu – AGNC, CLCT, EHI, EXC, FTR, GE, MO, NLY, OLP, RYN, SB, SNH, T, UMH, WAG, WFC, WIN, WWVY …I think this portfolio has a good chance of doing better [and decline less] than the market when going into the next downturn as governments (city, state) start defaulting/laying off people/causing inflation. The mREITs will probably have to go, but they’re good for now. Awesome Jacob. Appreciate you providing me your portfolio. That list you provided would help me do more research as to why you selected those stocks in the first place. It would help me understand things better. I’d take that one out and replace it with PM. The growth in cancer sticks is all on the international side. Luckly as an Engineer in a cubicle, I was given spare time between projects to “educate” myself in Business and personal finance with articles, textbooks, etc. similar to the ones you have posted. After that, what really interested me was Autobiographies of not just successful business men but of successful Scientists as well. I highly encourage you to read about Warren Buffet and Dr. Nicholas Tesla. Two completely different lives and subjects, but both inspiring. They both changed the world by their ambitions. Extreme retirement is a great first step of many. @Jacob, how often do you check your porfolio of stocks ? daily ? weekly ? I am guessing that you don’t replace components of your portfolio often ? @basil – Define “check”. I look at it daily. If some company demonstrates a big rise or fall (>2%), I usually read the news for that company to see why. Replacement or addition is maybe one or three positions per year. I’m new to economics/finance/investing and I’ve been wondering the same exact thing. As a biomedical scientist, I’ve been trying to fathom what growth means in an economic sense. Is it simply an increase in efficiency? If Apple comes out with an iPhone, and people buy it and use it merely for pleasure, did any real economic growth happen (assuming there’s no real utility and the no one works any harder just to be able to get an iPhone)? If someone invents a solar car, then people will need to spend less on everything (less on gas to go out to eat, less on goods bought that were shipped previously on gas/diesel). That is clear to me that there is economic growth there. But the iPhone still intrigues me. I know this is late. Hopefully you see it. I just would like to point you and the blog’s reades to another great ressource for learning stock valuation: Aswath Damodaran (a highly acknowledged professor specializing in investment valuation) is giving away his MBA lectures on valuation and corporate finance for free – just search for his name on the web, or find his podcasts on iTunes. In his lectures he is discussing a lot of material you won’t find in a textbook (up-to-date comments on firms and the investment world).